All right now… Let’s get serious. Zack Snyder’s latest work from the DC Cinematic Universe called Justice League it’s headed to theaters. The team of super-heroes lead by Bruce Wayne/Batman (played by Ben Affleck) will face a new villain and a new set of challenges. Steppenwolf is the name of the villain and it’s played by the Irish character actor Ciaran Hinds. Justice League is the second DC motion picture film that opens this year (after Wonder Woman) and according to multiple sources it aims to break through the 1 Billion dollars mark by the end of the year. 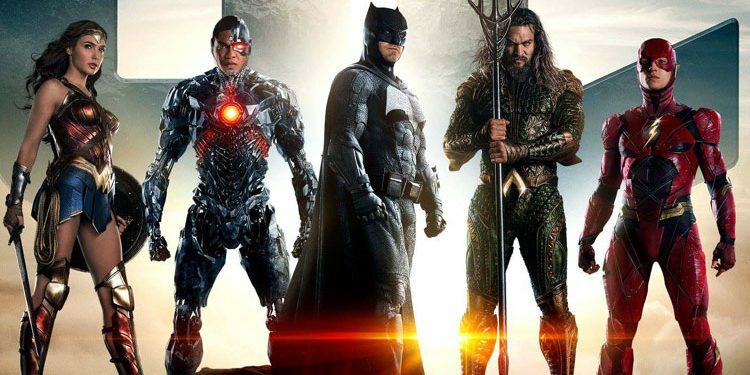 Besides the already familiar actors (mostly from Batman V Supermen), Justice League also welcomes to the team Ezra Miller, Jason Momoa, JK Simmons, Amber Heard and Billy Crudup. But what about the fun and useless facts hoovering around this movie? Well here are some of them. In the trailer, an episode of Rick and Morty (2013) can be seen playing in the background behind Bruce Wayne in Barry Allen’s place. This movie is confirmed to bring together Batman, Superman, Wonder Woman, Aquaman, the Flash, and Cyborg. Mera is confirmed to show up in the film, yet it is unknown whether or not she will be on the team. Ciarán Hinds portrays Steppenwolf in motion-capture. Hinds was unfamiliar with using the technology and got advice from his friend Liam Neeson, who had earlier done motion-capture acting in A Monster Calls (2016). 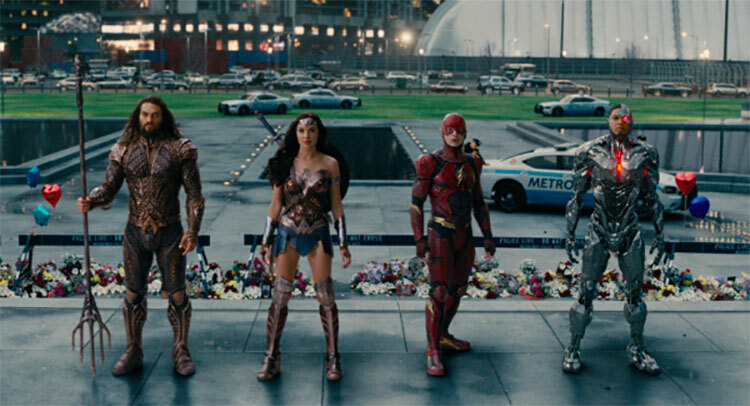 This movie was initially going to be split into two parts: Justice League Part One and Justice League Part Two, with an alleged singular continuing story line. But by the time filming the idea of the film being in two parts seemed to have quietly gone away, and it is now rumored to be two self-contained movies with two related but separate plots. 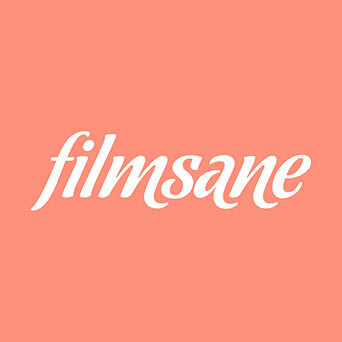 This film marked the second time J.K. Simmons and Willem Dafoe appeared in the same comic book franchise, after Sam Raimi’s Spider-Man trilogy (2002-2007). 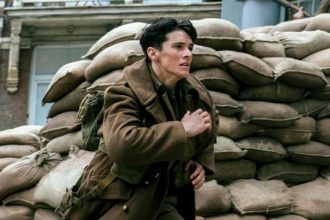 The film cast includes three Oscar winners: Ben Affleck, Jeremy Irons, J.K. Simmons; and four Oscar nominees: Amy Adams, Willem Dafoe, Diane Lane and Jesse Eisenberg. Ben Affleck and J.K. Simmons previously appeared together in the films Extract (2009) and The Accountant (2016). This film will be released on the 25th anniversary of The Death of Superman comic, which was released November 17, 1992; and the 16th anniversary of Justice League (2001) which premiered its first episode November 17, 2001. Ben Affleck and Willem Dafoe have both appeared in the Jack Ryan film series. Dafoe was in Clear and Present Danger (1994) while Affleck was in The Sum of All Fears (2002). Ezra Miller is the youngest cast member of this film. Ben Affleck’s third time playing Batman/Bruce Wayne (following Batman v Superman: Dawn of Justice (2016) and Suicide Squad (2016)). Green Lantern will appear in a post credit scene. 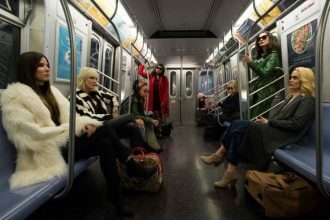 Check out the teaser for Ocean’s 8!